It's Christmas Eve, and Howie the dachshund puppy is scared. Who is this big guy in the red suit who's going to come down the Monroes' chimney with a huge sack over his shoulder? 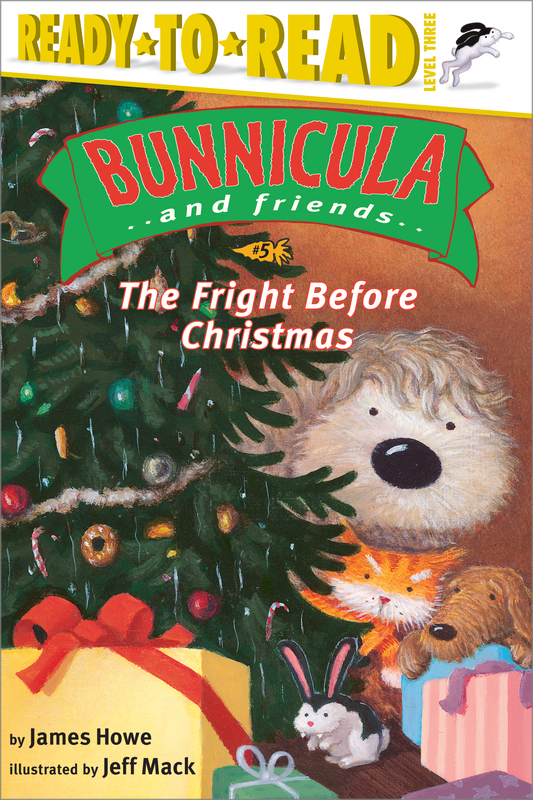 Chester isn't scared of Santa; it's the Christmas ghosts he's worried about (and, of course, Bunnicula). So when there's a loud CRASH from the basement, he and Harold have to investigate -- to make sure the Monroes have a merry Christmas, not a scary Christmas.